This is the final of five different types of Tarzan Callcards produced by eircom to celebrate the launch of the Disney blockbuster, which was released in cinemas from October 22nd 1999. These cards were on sale from October 21st 1999 in through eircom's 6,000 agents in Ireland. 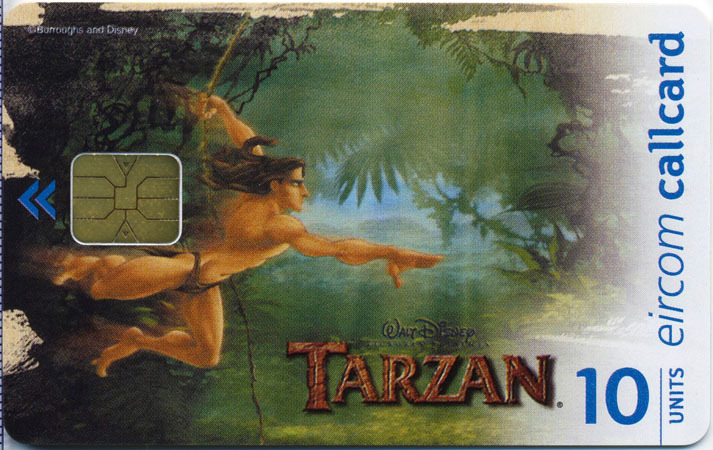 There were 2,000 limited edition fifth Tarzan Callcard produced: 800 of them were randomly distributed among their 6,000 Callcard agents around the country and 200 Callcards have been used for general promotional activities. Customers could either win this card through TV or Radio or they could be lucky enough to get one through some of the distribution agents. Or by listening to Dusty Rhodes on 2FM from the 25th of October in 1999. 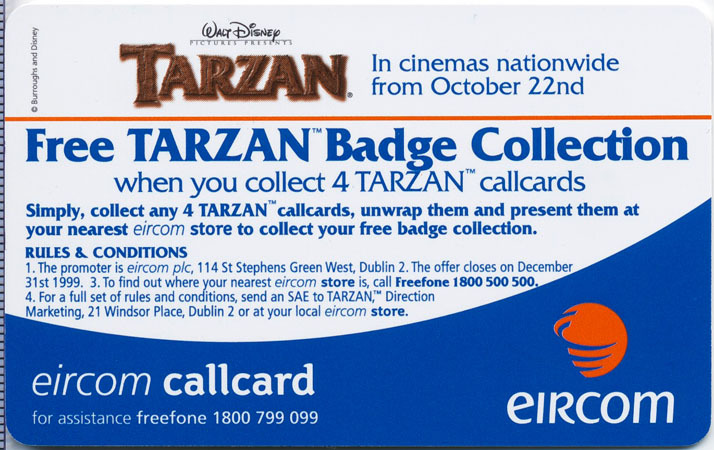 The Tarzan Special was also available from the eircom Callcard club, for £5, from the 1st week in January 2000, leaving just 1,000 Callcards exclusively available for members.